If you are a part of the biotech or lab supply industry, you know that life science trade shows are crucial to the success of your marketing campaign. Unless you want to spend huge amounts on travel and marketing materials, however, it can be prohibitive to attend every single trade show event. That’s why it’s crucial to make sure the events you do attend are of the utmost quality… and nothing gives you a better opportunity than events hosted by Biotechnology Calendar, Inc.
No matter the size of the company or your annual marketing expenses, all companies can be created equal in the research supply marketplace if you select the trade show opportunities with the best value. make connections that are closer to home and easier to nurture. Biotechnology Calendar, Inc. offers events year-round at over 50 leading institutions from coast to coast, so there is always an opportunity to participate in your own region. 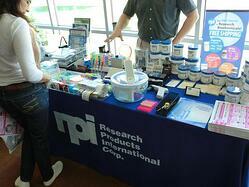 What use is attending a trade show if the information and products you distribute never make it back to the lab bench? Getting the most value demands that you spend your marketing time year-after-year with the actual purchasing agents, post-docs, and lab managers who will be the buyers and end users of your products. 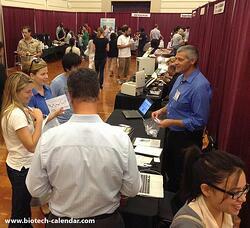 Biotechnology Calendar, Inc. events put vendors in touch with over 15,000 of these same researchers annually, on their own campuses, and when THEY are interested in new products. 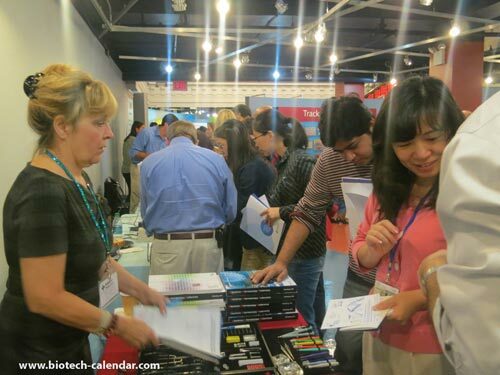 While you may not be inclined to spend thousands every show on expensive giveaway items and door prizes,value-savvy exhibitors can still make the best of their marketing time and money at Biotechnology Calendar, Inc. events. These events feature hosted prize giveaways and drawings, leaving you free to focus on promoting your actual products and getting your samples and literature into the hands of active researchers. Preparing to have a successful show means more than just getting your showcases packed, it also means promoting your presence at the show well ahead of time. All of Biotechnology Calendar, Inc.’s events undergo an extensive process of pre-event digital media coverage - through social media channels, blog posts, and press releases. We make use of over 22 years of experience to promote our shows and make over 50,000 media impressions to provide you with the researchers and scientists from top institutes, and to facilitate your success. Making effective use of your space is the most important aspect of a successful trade show, along with size and location. With structure, an open and inviting layout, and the right colors and signage, any size of exhibit space at a Biotechnology Calendar, Inc. event can really shine. That’s why Biotechnology Calendar, Inc.offers use a variety of options to fit the vendor’s needs, both large and small. Also, multiple pricing options occur for many shows, so it pays to register early and increase your value even further. Now that you know how Biotechnology Calendar, Inc.offers the best value to its exhibitors with our line of popular life science events, you can put that knowledge to good use by joining this expanding marketplace. 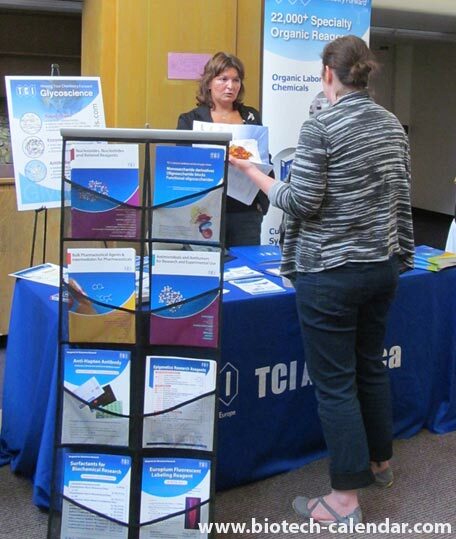 Since 1992, Biotechnology Calendar, Inc. has provided full-service marketing and event planning to lab equipment and supply vendors interested in meeting active researchers at on-campus life science research trade shows nationwide. We are founded by scientists and are the oldest, most experienced, highly recognized, and professional bioresearch equipment and service trade show producer in the United States.